Phlox for Hummingbirds. A Must to Attract Hummingbirds to your Garden. 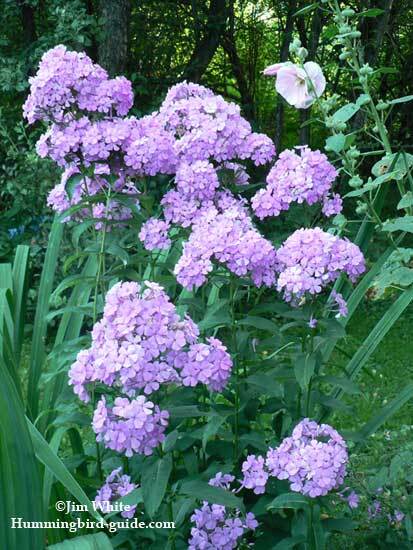 Planting Phlox for hummingbirds is a favorite among gardeners. This easy to grow plant has large captivating bundles of colorful blooms and the loveliest fragrance. Hummingbirds have a high metabolism and need flowers with an abundant nectar count.This beautiful bloom fits the bill (no pun intended) perfectly. Your personal locale and the variety you choose will determine when it will bloom and for how long. It doesn’t matter because hummingbirds always enjoy phlox. Here in Northern Vermont, our garden Phlox bloom in August and September. This is the time of year our hummingbirds need to bulk up for the fall migration back to their winter homes in South America and Mexico. We see them frequenting our flowers all day long. In addition to the feeders we supply, nectar from flowers is also more important for them in the Fall. This perennial which is one of the best hummingbird flowers grows in zones 4 – 8. Jim and I purchase our plants at Direct Gardening because of reliable service and good quality plants. 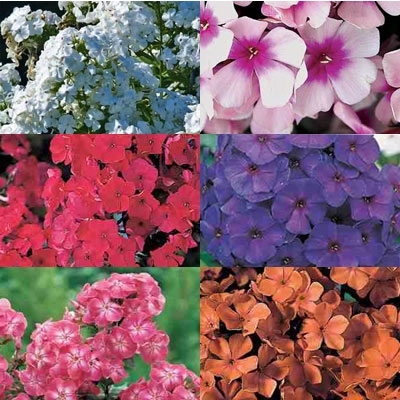 To select from a large variety of Phlox Plants we recommend Direct Gardening for the best price. We have learned that it’s best to plant in full sun to partial shade, shading decreases bloom quality and increases disease problems. It is necessary to plant in soil that drains well. Our soil is clay so we use extra compost. Place plants about a foot apart. To be honest, we haven’t done this but now understand that allowing air circulation helps to prevent disease. If we have any problems, we will plant more spaciously in the future. We do recommend this to anyone. It’s always better to be safe than sorry later. The plant grows to varying heights depending on variety. If you are planting a Hummingbird Garden, we advise planting the tall varieties in the back. The shorter varieties which grow 1 to 2 feet high are suitable for the middle section of the garden. 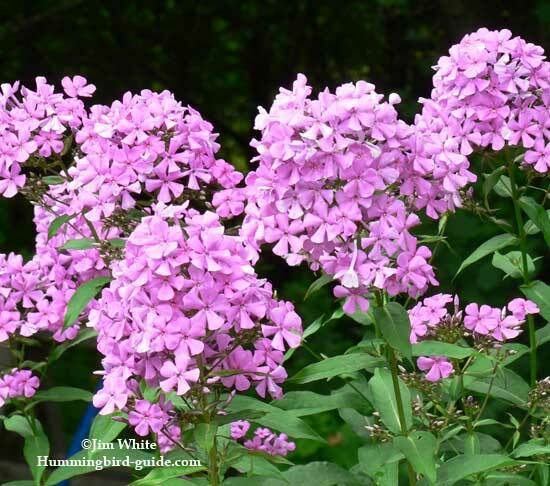 Its as easy as that to plant Phlox for Hummingbirds! Now grow Phlox you'll be proud of. Here is the improved variety you've read about! They boast brilliant sun-proof colors, big, clean florets and huge, gorgeous flowerheads! Plant our vigorous 2 year field grown plants - they are better and are guaranteed to grow! Selected, field-grown plants, Zones 3-9.